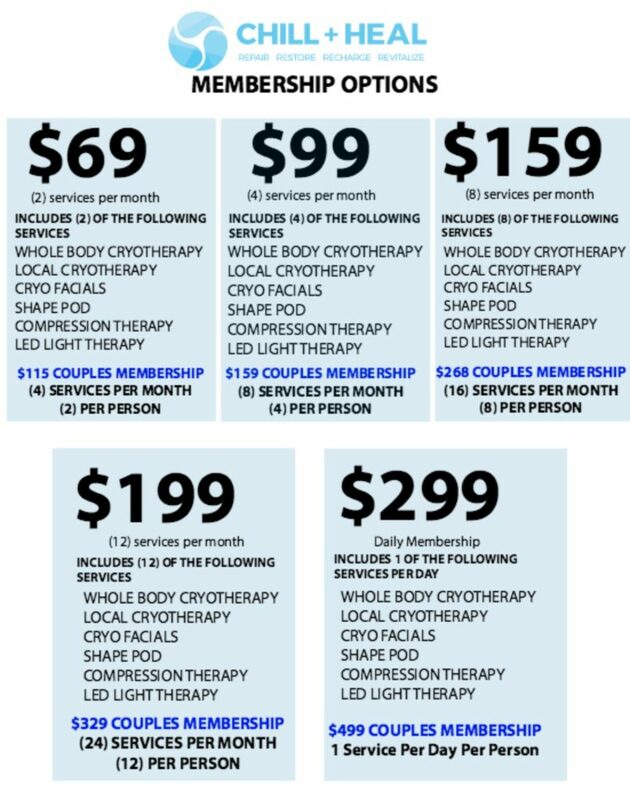 At Chill + Heal Cryotherapy Spa we are here to help you find the perfect recovery package to meet your needs. We’re confident you will feel better than you did before you came in. Not only that, but membership gives you special member pricing on any service we offer.